Woodland Resource Services is a vegetation management company that specialized in roadside brush and forestland noxious weed control. We utilize 4-wheel drive spray trucks with computerized, chemical injection systems, highly versatile OHVs, & backpack sprayers. As environmental concerns and regulations have increased, many customers are requesting our services in flagging waterway buffers according to Forest Practice Rules prior to spraying. Our flaggers survey the roads on OHVs and, by working closely together with the spray applicators, provide a safe and accurate combination that is still much more cost effective than mechanical brushing. 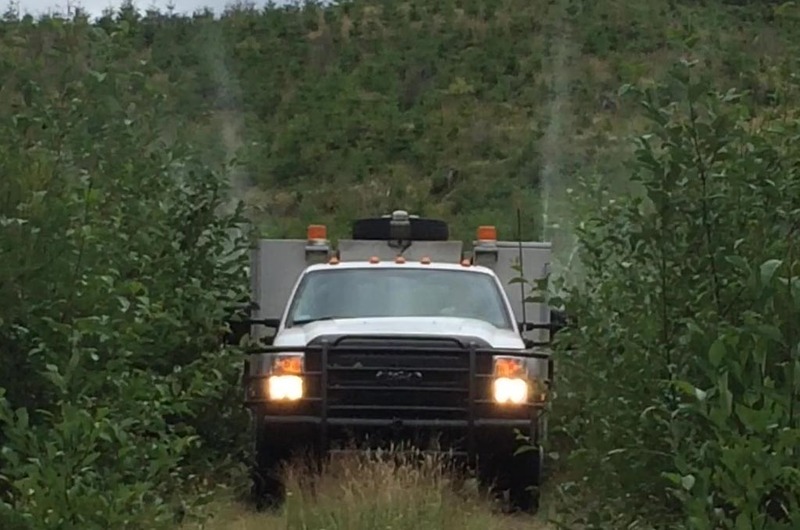 We have many years of experience in roadside forestry spraying throughout Western Washington, Idaho, and Oregon. WRS features a team of licensed and trained applicators who enjoy and take satisfaction in a job well done!